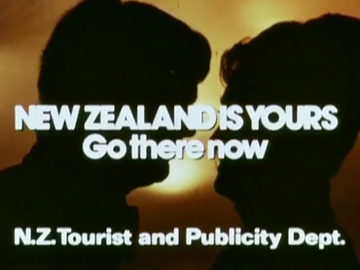 This mid '70s ad campaign, made by the National Film Unit for the Tourist and Publicity Department, was aimed at the domestic market and offers nostalgic delights aplenty. 'Nightlife' focused on city bars and clubs, and 'Oldies' showcased options for retirees (scenic bus tours). Another version urged families to ditch the car (amidst the oil crisis) and take public transport to see the country; and in a classic of the genre pop star Craig Scott was a beach pied piper for adoring young Kiwis: "We're in God's own country, we gotta take the tiiiime ...". 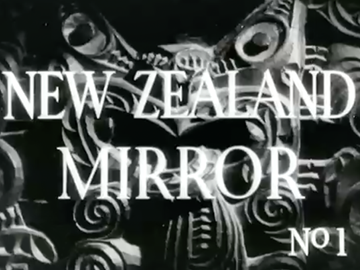 New Zealand Mirror was a National Film Unit 'magazine-film' series aimed at a British theatrical audience. Mostly re-packaging Weekly Review and later, Pictorial Parade content for receptive UK eyes, it also generated a small amount of original content. 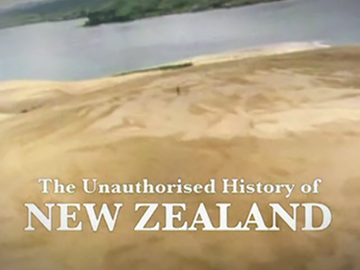 The series covered items showcasing NZ to a British market and as such has some interest as a post-war representation of New Zealand's burgeoning sense of national identity, from peg-legged Kiwis and children feeding eels, to the discovery of moa bones, to pianist Richard Farrell. This documentary series was presented by the legendary Selwyn Toogood. These New Zealanders was one of Toogood's first appearances for television, having previously become a household name as a radio host. The National Film Unit production was part-documentary, part-magazine, and part-travelogue, and took Toogood to six towns to capture their character and people. The towns visited were Gore, Benmore, Motueka, Huntly, Gisborne and Taupō. It provides a fascinating perspective of New Zealand life in the 1960s. Broadcast in the early 1970s — back when local television spanned just a single channel — Living in New Zealand was built around short documentary items. Current affairs was rarely on offer; instead there were pieces on novice skydivers, jetboat adventures, shopping, preparations for Expo 70 in Japan, and singer Phil Garland's search for unrecorded folk songs. 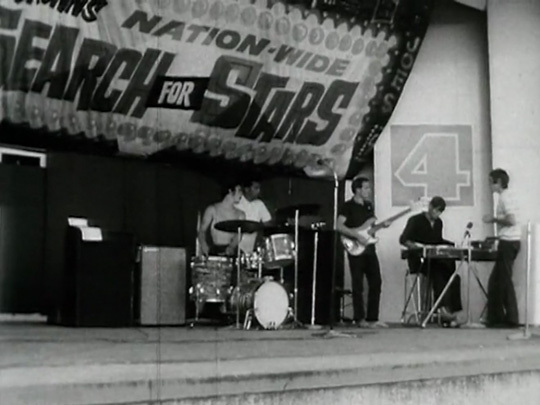 An item on national talent quest Search for Stars featured an early screen appearance as interviewer by Ernie Leonard — the future Head of TVNZ's Māori Programming Department. 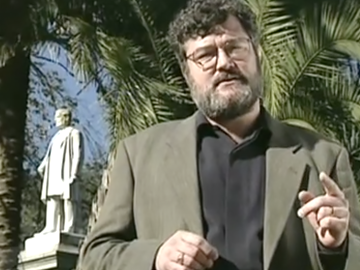 In this satire series presenter Jeremy Wells — channelling Kenneth B Cumberland (of Landmarks fame) — examines NZ history in a mock-revisionist manner, poking fun at the pretence of the past. From the makers of Eating Media Lunch, the show is self-described as “the most important series in the history of history”. Each episode tackles the big issues, including ‘Crime’, ‘Visitors’, ‘Trouble’ and ‘Evil’. The show draws its material mostly from television archive basements, with the odd piece of fakery and animation thrown in. Michael King this defiantly ain't! 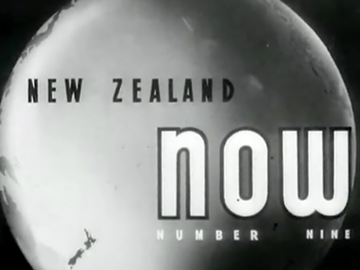 Produced by the National Film Unit, New Zealand Now was a companion series to New Zealand Mirror. Both were aimed at overseas cinemas as general publicity for NZ, New Zealand Now dealing with specific subjects, the latter with multiple-item magazine reels. Subjects ranged from the RNZAF, sport and the Whanganui River to bushmen. Most of the New Zealand Now films were made in 1951 and 1952, before the launch of the NFU's long-running series Pictorial Parade. Completed in 1956, the 13th and last film intended for the series was ultimately released shorn of the New Zealand Now title. 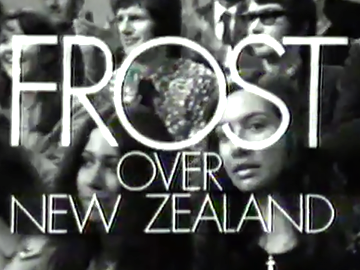 Star English interviewer David Frost was international television royalty when he jetted into New Zealand in 1973 to host a series of six hour long shows which were produced by Des Monaghan and directed by Kevan Moore (the longest duration he’d worked on). In the NZBC’s most ambitious undertaking up until then, the six episodes were recorded in just four days. The series began with political leaders — Prime Minister Norman Kirk and Leader of the Opposition Jack Marshall. The other subjects were abortion, obesity, champion athletes, marriage and children. 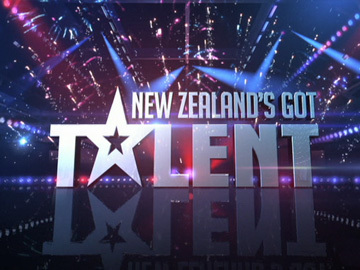 Based on the hugely successful Got Talent franchise created by Simon Cowell, this nationwide TV talent quest first screened on Prime for one season in 2008. It was revived by TV One in 2012 and 2013. The Prime hosts were Andrew Mulligan and radio DJ Jason Reeves, with judges Miriama Smith, Paul Ellis and Richard Driver. From 2012 the host was Tamaiti Coffey, with model/actor Rachel Hunter, Opshop frontman Jason Kerrison and UB40's Ali Campbell as judges. American choreographer Cris Judd replaced Campbell for the 2013 series.